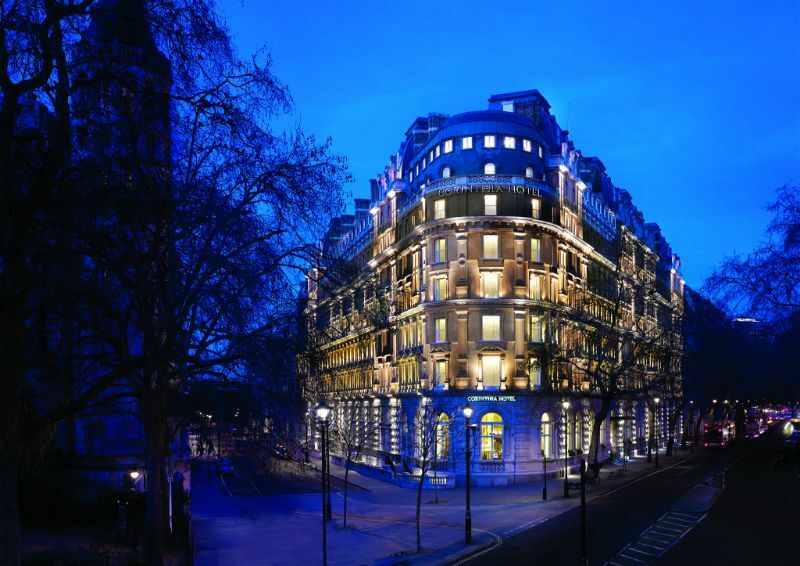 Located in the heart of London, just a stone-throw away from the steps of Trafalgar Steps, the Corinthia Hotel is the epitome of British elegance and beauty. 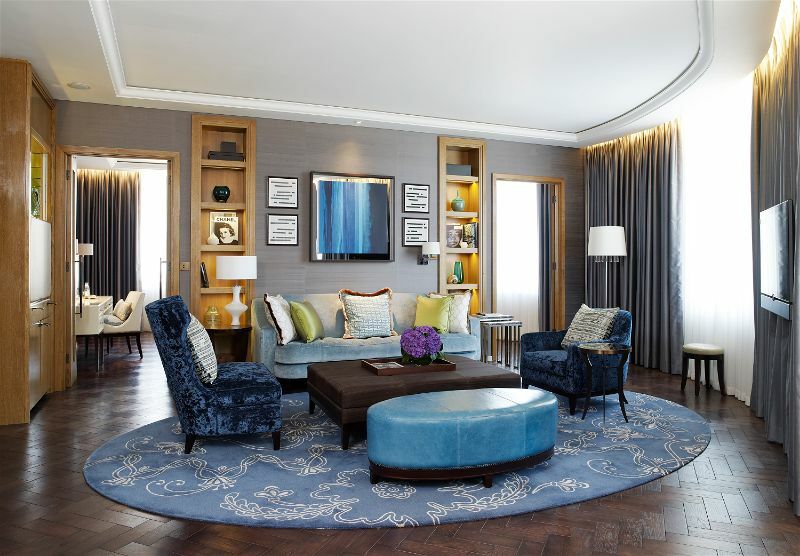 Featuring over 200 exquisite rooms, 51 exclusive suites and 7 breath-taking penthouses, the Corinthia hotel is known as a world-class destination, and not without reason. 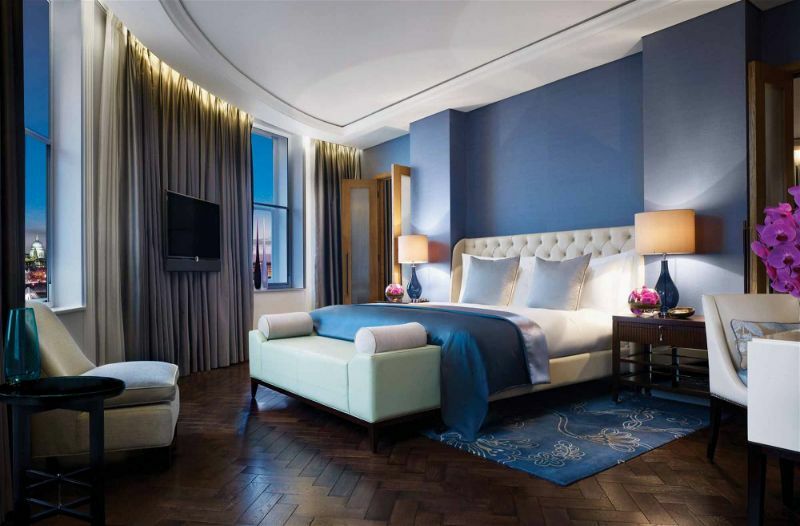 With outstanding attention to detail and exceptionally beautiful furnishings, the rooms at the Corinthia Hotel in London are sure to take your breath away. In a class of their own are the Executive King and Deluxe King rooms, which provide a place of peace and tranquillity. While the new addition of the Garden and London Suites offer timeless elegance and the perfect retreat from hectic London life. 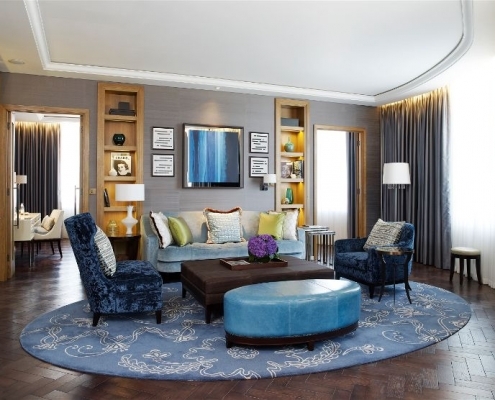 Last but not least, the penthouses at Corinthia offer enviable views of the city of London with lavish furnishings, which provides comfort and style.The specialised butler services available with the penthouses are provided to offer a truly bespoke, 5-star service for its guests. 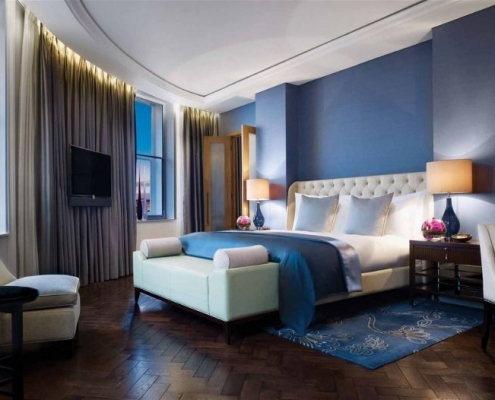 The Corinthia Hotel hosts an eclectic mix of restaurants and bars, staging the perfect place for breakfast, lunch, and dinner in central London. Serving the best of seasonal British cuisine, The Northall restaurant celebrates Britain’s culinary strengths in all its glory by using the best produce available. The Northall also hosts an exquisite Sunday brunch that is accompanied by live Jazz music, providing a sophisticated setting to enjoy some fine dining. And what better way to pay homage to the British tradition of Afternoon Tea than spending an afternoon immersed in the idyllic atmosphere of the Crystal Moon Lounge. The Crystal Moon Lounge offers an intimate space to enjoy a delicious array of cakes and bespoke collection of teas, which are inspired by the season. Coming to the Corinthia Hotel in September 2018 is Michelin-starred chef Tom Kerridge. Kerridge’s Bar and Grill will be Tom’s first restaurant to open in London, which will host a traditional brassiere-style restaurant accompanied by a contemporary bar. Certain to bring a newfound splendour to the Corinthia Hotel, Kerridge’s Bar and Grill is anticipated to be a renowned success. Escape from the hustle and bustle of the city with London’s largest spa; ESPA. Described as the next generation of spa, ESPA boasts a truly unique concept of spa offering a network of the world’s leading experts and a wide range of beauty treatments. From traditional Chinese acupuncture to tailor-made personal training programmes, ESPA has something for everyone. ESPA can even host a number of different events for special occasions such as baby showers and birthday celebrations. Featuring over 17 treatment rooms, a stunning swimming pool, ice fountains, sleep pods and much more, ESPA at the Corinthia Hotel has won many awards and offers the most exclusive spa experience around. Capturing the true essence of London, the Corinthia Hotel is guaranteed to provide an unforgettable experience for its customers. 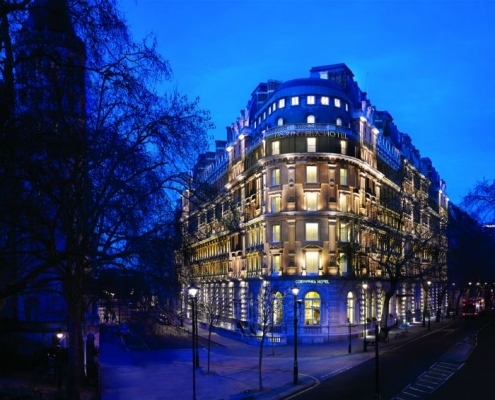 By focusing on delivering a truly authentic service, the team at the Corinthia Hotel forever exceed their customer’s expectations, which keeps them coming back.